Crystal Exchange America, a leader in selling retired Swarovski, continues blogging success. Kristall Buzz, the preeminent place for Swarovski crystal aficionados, is excited to reach post its 200th post with an Internet presence of less than one year. I want the information on this Swarovski Blog to be accurate, edgy, and entertaining. It is not our intention to leak ‘Swarovski secrets’, but instead to generate engaging Swarovski crystal articles with original, creative content. Less than one year ago, Angie McIntosh, owner of Crystal Exchange America, decided to create a blog devoted to Swarovski crystal fanatics. With so much of the world into blogging, she thought it would be a wonderful way to maintain connections with Swarovski collectors avoiding mass emails to ‘buy more crystal’. Last week, the Kristall Buzz posted its 200th article about Swarovski crystal figurines. This indeed shows the commitment to success that was made when the Swarovski Blog launched at the end of October in 2010. 200 posts in 300 days….on average that is new information on our blog every 1.5 days. No other blog or website can boast these numbers that keep their subscribers and readers frequently returning for fresh, favorable content. Kristall Buzz, located at http://www.KristallBuzz.com, focuses on news and interesting articles about Swarovski figurines, primarily retired Swarovski and rare Swarovski collectibles. The Kristall Buzz also has announcements about Swarovski club pieces, upcoming releases, leading-edge news, and other interesting internet chatter. Crystal Exchange America continues to sponsor and update RetiredSwarovski.com, a site committed to keeping up-to-date on Swarovski crystal retirements. This site has a wealth of information about discontinued Swarovski figurines and impending Swarovski retirements. 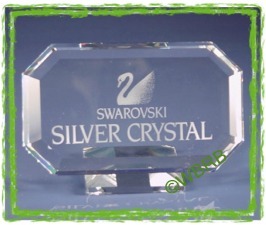 For Swarovski crystal owners looking to buy or sell Swarovski, collectors can learn more about Crystal Exchange America at CrystalExchange.com . 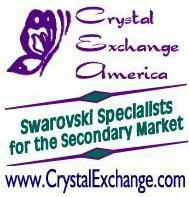 Crystal Exchange America has over 15 years of experience and aids collectors adding crystal to their Swarovski collection as well as helping those who want to liquidate Swarovski crystal collections or sell only a part of them. Crystal Exchange America, a retired Swarovski dealer, specializes in discontinued and retired Swarovski crystal. 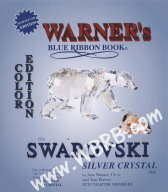 Retired Swarovski .com is an excellent resouce for Swarovski RetirementsRetired Swarovski .com is an excellent resouce for Swarovski Retirements Crystal Exchange America for buying and selling retired and limited edition Swarovski Warner's Blue Ribbon Books on Swarovski, terrific book with pictures and insurance recommendations.